Not many sketches left for 2015 – so head over to Freshly Made Sketches and join us. While you’re there take a look at the fab inspiration from the Clean Team. Wow I love this all done in neutrals! So classy….and so interesting! It’s a great mans card ,love the way it’s designed!! There are lots of great manly touches on this card! 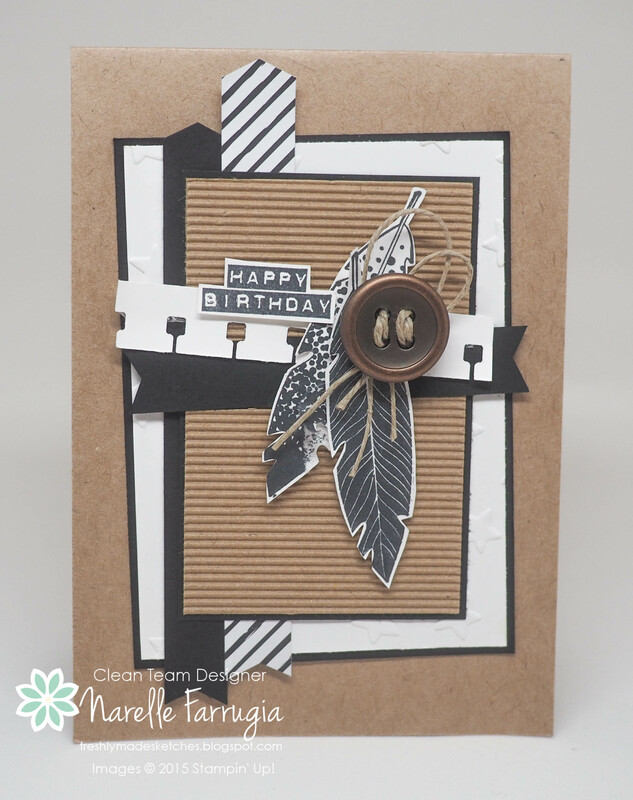 I love the colors and all of the manly bits of texture — the corrugated card stock, twine, stars, etc… Great card, Narelle! I love everything about this card! 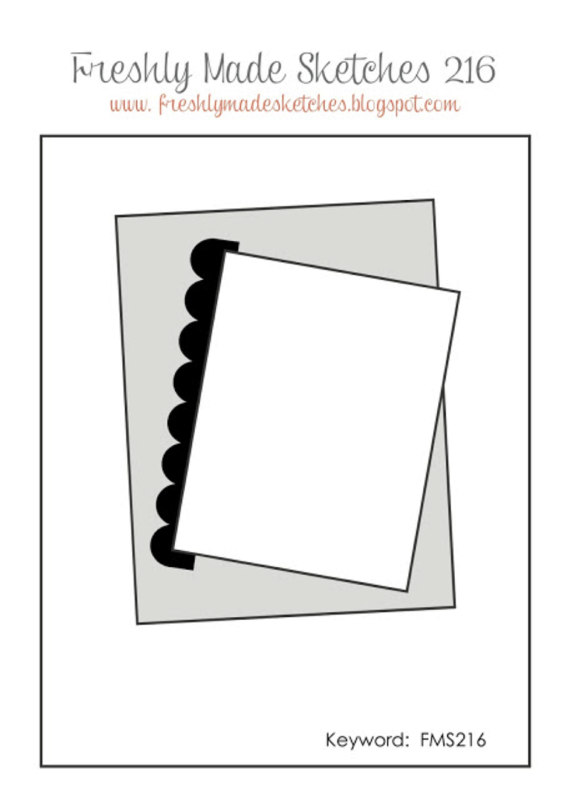 The neutrals, the vertical strips, the corrugated card – it all works beautifully. This is fantastic! Love that corrugated paper and the feathers! Love this masculine card Narelle! Those neutral colours are fabulous! I love those feathers…I really regret not owning them!!!! Yep, those are great colors for a man-card. And the feathers are a great look. Not to frilly and I love how they pair with the button and twine!